Here’s a surprise: cereal grains are technically seeds, and most nuts are too. Even beans are seeds. But the little edible wonders this article refers to are the smallest, and tasty edible kind. According to Paolo Sabelli and Brian Larkins the combination of edible seeds, (grains, legumes, and nuts), make up the majority of the human diet. They all contain a generous amount of protein, carbs, mostly coming in the form of fiber, and of course fat, mostly of the Omega 6 variety. Popular ones include sunflower, flax, pumpkin, hemp, sesame, and the new and popular chia. And, as with nuts, they are popular as oils, and as with nuts, you really shouldn’t cook with them due to their low smoke point which can create an oxidative and rancid party in your bloodstream. I prefer to pour the oil over a salad or use as the base of a healthy salad dressing. *REMEMBER: Seeds, like nuts, are snacks, not staples. A handful is nice, a cup, not so nice. Lets take a look at the more popular varieties. Hemp seeds contain more Omega 3’s than the rest, have all 9 essential amino acids, are lower carb, and have substantial protein, boo yah! Their taste is nutty, and the ground seeds are a component of Structure lean fuel protein powder. The strong and durable fibers make great clothing, become a component of plastics, jewelry, paper, and even building material. 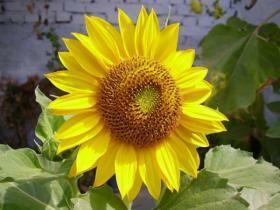 The seeds taste great and offer awesome nutrition, and the leaf? ‘I didn’t inhale.... honest!’ What a great plant! Sesame seeds are one of the oldest seeds around dating as far back as 5000 yrs. They have a great nutty flavor and appear in many Asian dishes either tossed into the stir-fry or as a condiment shaken on top. As a paste called Tahini, it teams with garbanzo beans and becomes hummus. Love the oil on mixed greens. Sunflower seeds…birds love them, squirrels in my back yard fight over them, and they give you something to do at a baseball game. Technically we eat the fruit or kernel within the whole seeds, but who’s being picky! Try sprinkling a few of them on a salad. 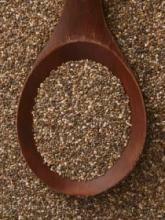 Flax seeds have been a popular ground-up option for some time now. They have some omega 3’s, but lower than hemp and chia. Mark Sisson points out the controversy, (dichotomy? ), that they have been linked to prostate cancer, but then again protect you from prostate cancer. As with any ‘study’ you have to find out who’s doing the studies, why, who’s funding it, who they’re using as test subjects, and what else they’re eating that may cause the cancer, right? It is also called Linseed oil is pressed form the seeds, which is used for things like wood stain and varnish. Not the tastiest oil on the planet. I say ground flax seeds taste great and add another nice nutty-taste option to some dishes. Chia seeds, native to Mexico and Guatemala, are like the new kid on the block even though Mayans and Aztecs were using them over 700 years ago. They are technically classified as a ‘pseudo-cereal’ along with Flax and Quinoa. Lower in protein than the other guys, higher in fiber, and have some Omega 3’s, but don’t count on it as a replacement for a power Omega 3 like salmon. Pumpkin Seeds, (Pepitas), can be eaten raw or roasted from your fresh Halloween carving. The ones in the already shelled come in raw and roasted. Always try buying dry roasted nuts to avoid the oils they sometimes roast them in. Once again, high in O6, so don’t gorge on them. Remember, seeds, like nuts are snacks, not meals. A few are great but too many raise your Omega 6 to Omega 3 ration way out of proportion. Consumption of their oil products and other vegetable oils like Canola or Soybean will too. The human body functions optimally on a ratio close to a 1:1 like our ancestors did before the advent of cereal grain crops. But, the current human diet is as high as 20:1 or even 50:1 because of high grain, bean, oil, pastry, and fried food consumption. A high Omega 6 count is a definite marker for Systemic Inflammation and comes with serious health consequences. Omega 3’s are your friend. Try roasting raw seeds yourself at a low temp. Soaking, drying, and dehydrating is also a great option.